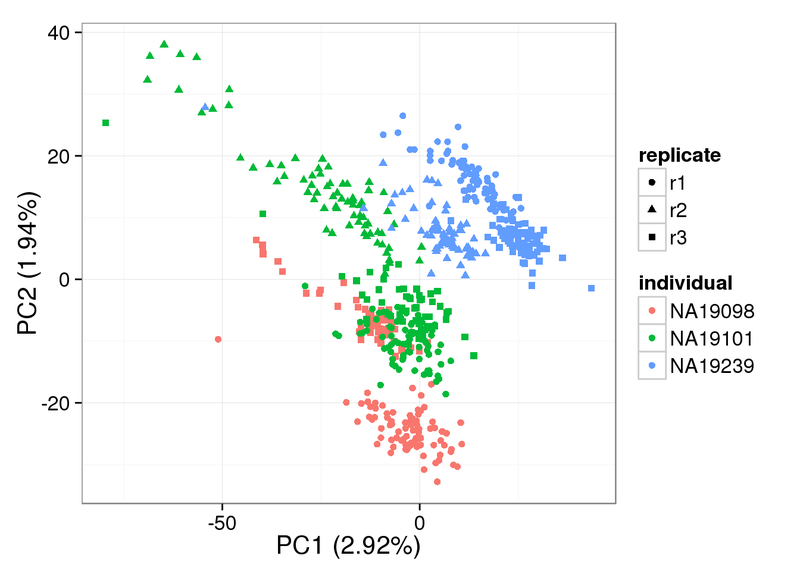 We analyzed our single cell data with BASiCS developed by Vallejos et al., 2015. The results shown here are from a model fit with 40,000 iterations. 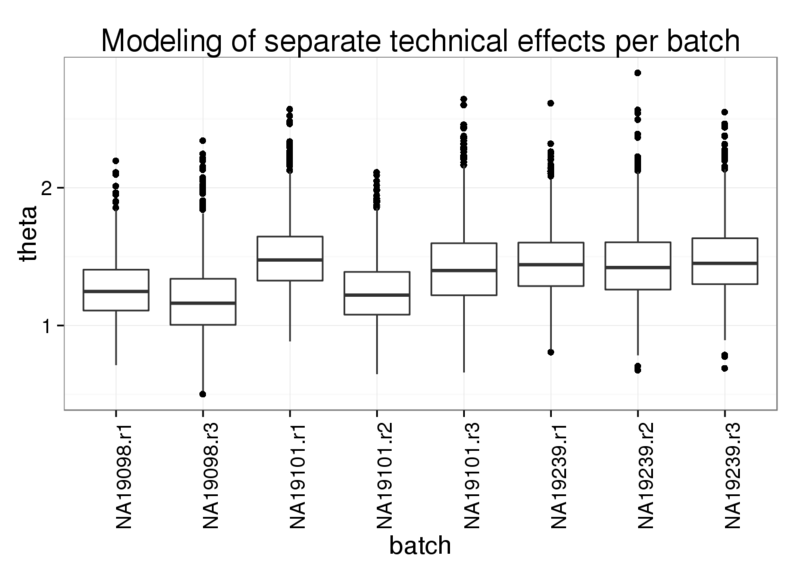 This time we also modeled the unexplained technical noise with a separate parameter (theta) per batch. Below is the description of the data from the BASiCS vignette, interspersed with my code to load the data. 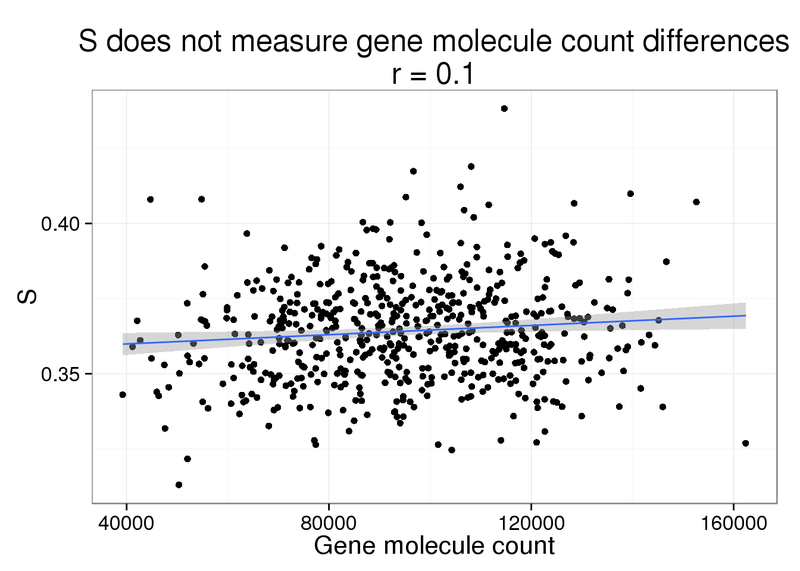 Counts: a matrix of raw expression counts with dimensions q times n. First q0 rows must correspond to biological genes. 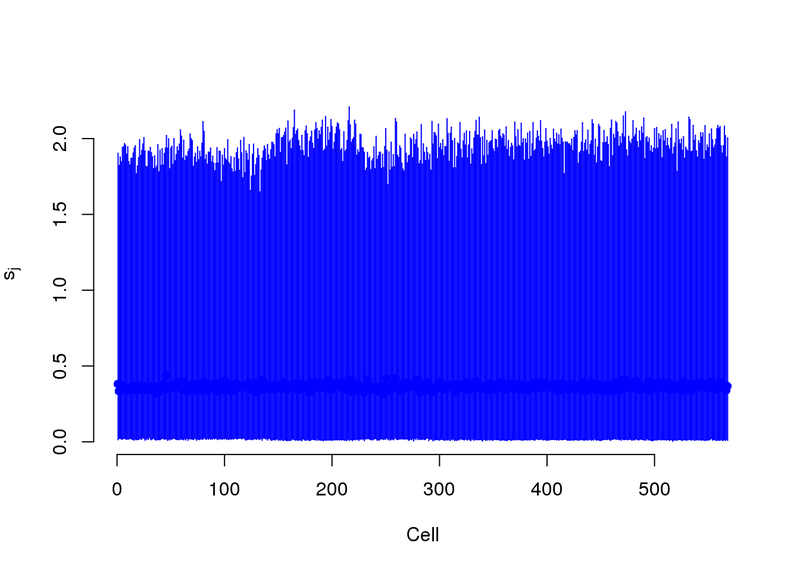 Last q − q0 rows must correspond to technical spike-in genes. Tech: a vector of TRUE/FALSE elements with length q. If Tech[i] = FALSE the gene i is biological; otherwise the gene is spike-in. 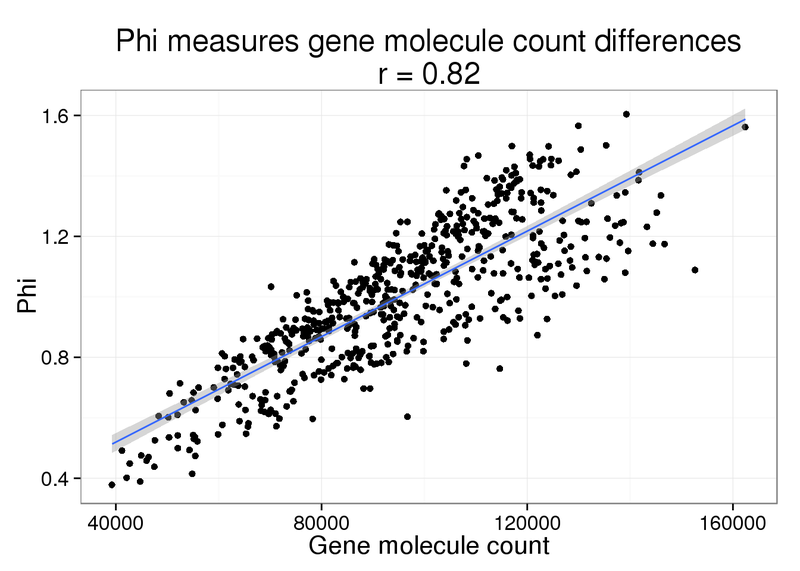 SpikeInput: a vector of length q − q0 whose elements contain the input number of molecules for the spike-in genes (amount per cell). 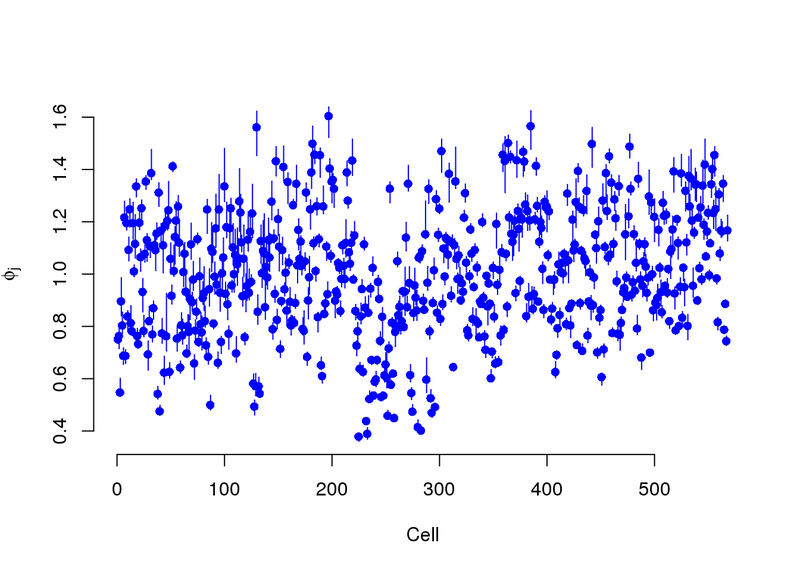 Only keep the spike-ins that were observed in at least one cell. 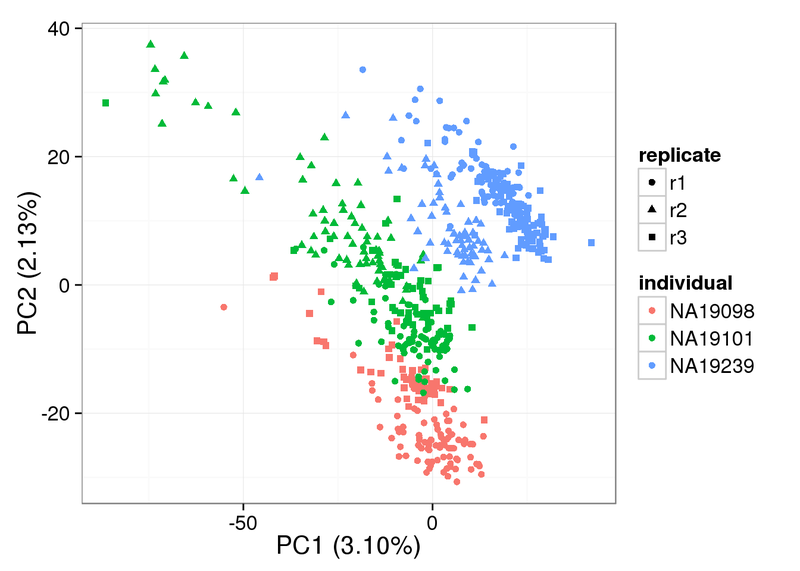 34 of the ERCC spike-ins were observed in the single cell data. These elements must be stored into an object of class BASiCS_Data. 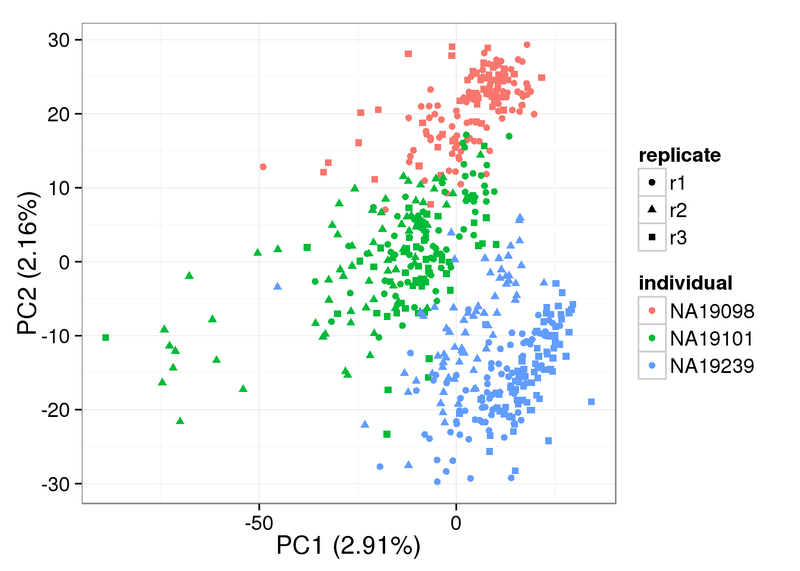 Dataset contains 10598 genes (10564 biological and 34 technical) and 568 cells. Elements (slots): Counts, Tech, SpikeInput and BatchInfo. The data contains 8 batches. - We recommend to pre-filter very lowly expressed transcripts before creating the object. 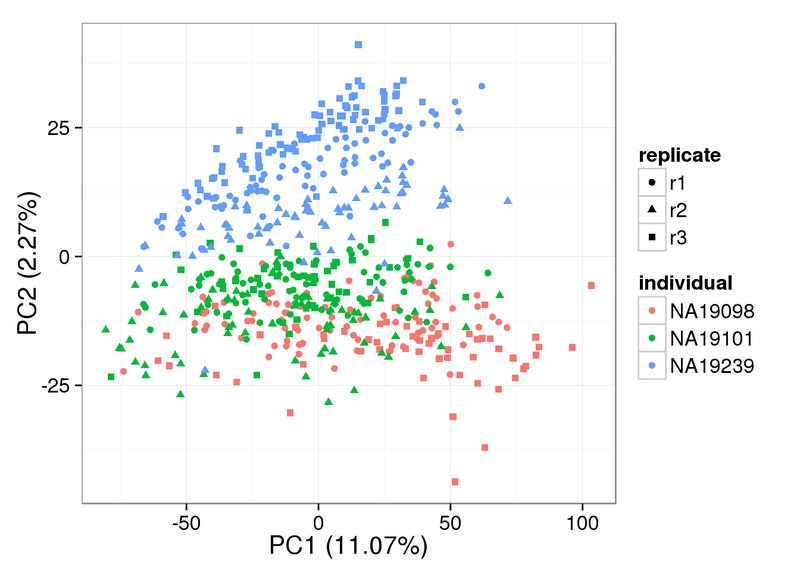 Dataset contains 10598 genes (10564 biological and 34 technical) and 568 cells (8 batches). Elements (slots): mu, delta, phi, s, nu and theta. Fitting the model took 79.66 hours. The unexplained technical noise is similar across batches. BASiCS models two cell-specific parameters. Phi models the differences in gene molecules. 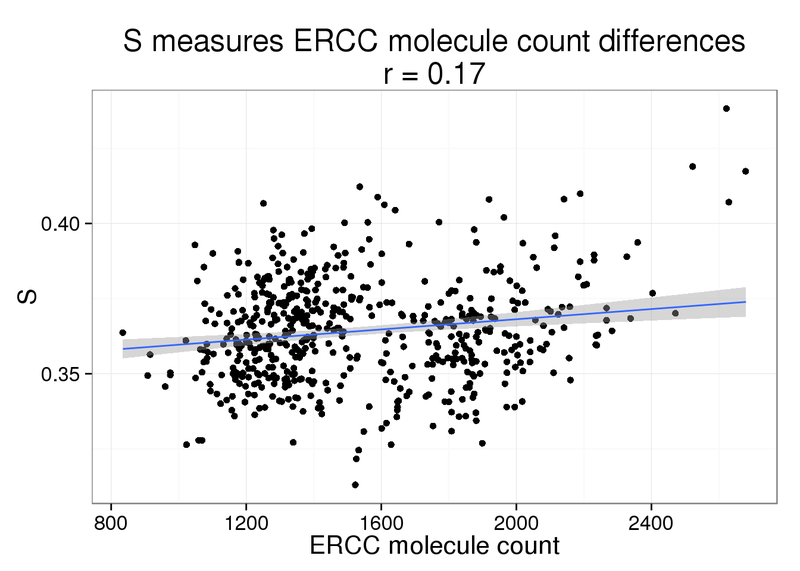 S models the differences in ERCC molecules. Remove technical noise (i.e. 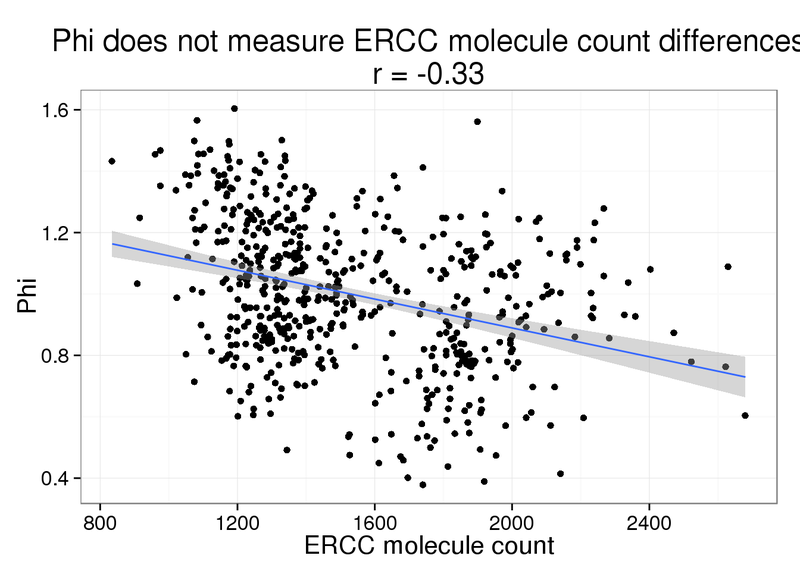 normalize using the ERCC spike-ins). This takes a long time! 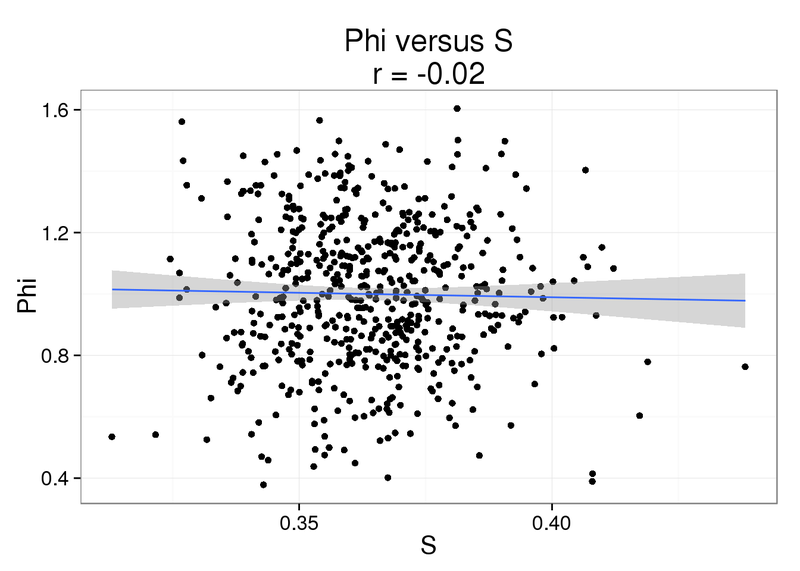 "This calculation requires a loop across the 2000 MCMC iterations"
 "You might need to be patient ... "
Both the raw and the cpm versions of the BASiCS denoised data appear similar to the result with the non-normalized cpm data. This does not change substantially when increasing the iterations from a few thousands to a few tens of thousands.